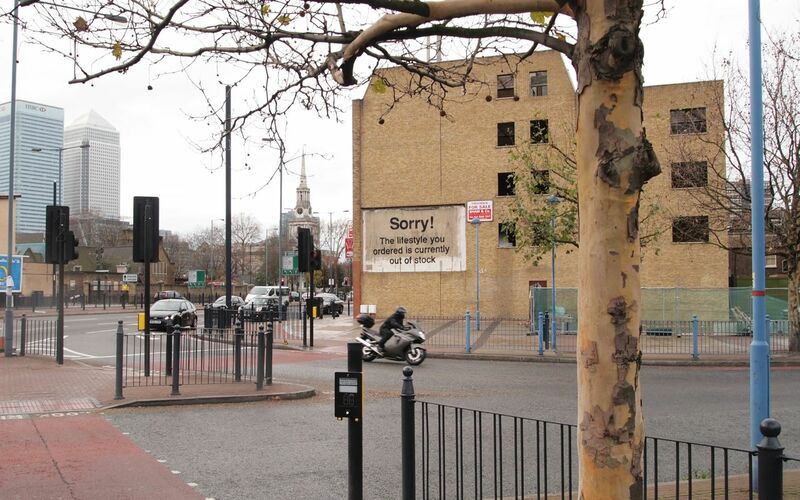 Banksy – Poplar, London | The Vault of Ultimate Cool. It seems Banksy has hit the streets of London again with a piece of artwork, with the subject matter towards the economic climate we are facing all over the globe. The piece could have been found in Poplar, London but unfortunately as quickly as it went up with the same speed it had to come back down. With the piece purely focused on verbal communication it is clear it is all about the kind of life the global community have wanted but did not anticipate the economic downturn.